Fu Hsun was founded in 1963 in Taipei, Taiwan. Built on a lot of about 1,100 m2 on Bade Road Section 4, our first facility was a four-story building that housed an office, shop floor, warehouse, and dormitory. 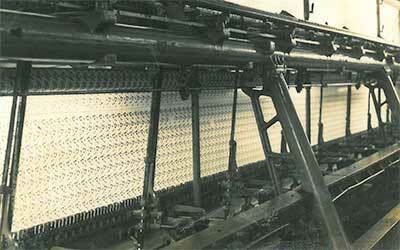 Initially, we offered a variety of warp knitted fabrics, specializing in tricot and lace. Yarn was purchased from other suppliers, while our in-house capabilities consisted of yarn texturizing, warp knitting, and embroidery. All other processes were contracted out to third parties. Recognizing the benefits of a stable raw material supply to quality, speed, and cost, in 1968 Fu Hsun invested in the formation of Hung Chou Chemical Industry Co., Ltd., a polyester chip and yarn manufacturer. Design of the plant and processes was handled by Uhde GmbH and Farbwerke Hoechst AG, with construction finishing in 1971. Four years later, Hung Chou went public on the Taiwan Stock Exchange, but Fu Hsun remains the majority shareholder to this day and sources the bulk of its yarn from Hung Chou. 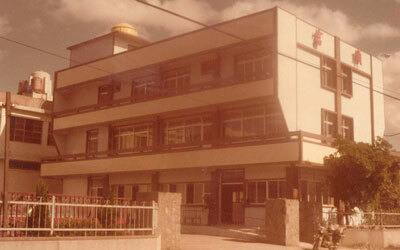 As business continued to grow, the Bade facility was no longer sufficient, so we underwent our first expansion in 1973. A 10,000 m2 plot of land was purchased in New Taipei's Tamsui District. After moving our old machinery to the new mill, we continued to invest in additional equipment with the extra space, eventually achieving the largest warp knit capacity in Taiwan. 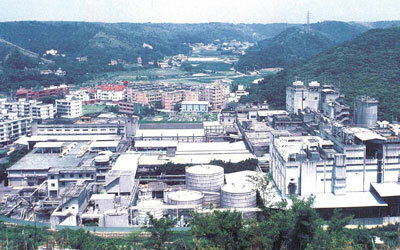 The Tamsui mill remained operational until 2007. In 1992, to further increase vertical integration, we set up a second mill in Guanyin of Taoyuan County, 15 minutes away from Taoyuan International Airport, that also performs dyeing and finishing in addition to knitting. 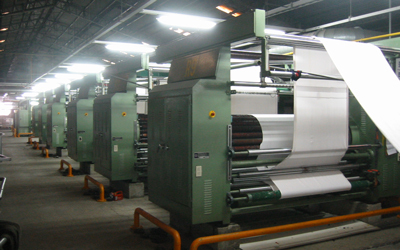 Adding these capabilities allowed us to stay competitive in the textile industry. The Guanyin mill, currently occupying 33,000 m2 of space, is now our flagship, offering the most experience and technical expertise. Our first overseas expansion occurred in 2002, when we set up the Fu Hsun Bowker Dyeing Factory in Heyuan, Guangdong, China. The new location, offering knitting, dyeing, and finishing, allowed customers to take duty considerations into account when sourcing fabric, but more importantly, the mill is a joint venture with one of Hong Kong's largest sportswear manufacturers, Win Hanverky. The mill's close proximity and relationship with Win Hanverky follows the trend of forming strategic alliances with garment manufacturers, creating one-stop garment solutions with unparalleled convenience and lead times. We continued to strengthen our presence in China as customers increasingly shifted their allocation patterns. First, in 2005 we increased our fabric capacities by setting up an office in Shanghai and reserving capacity from a local partner mill. 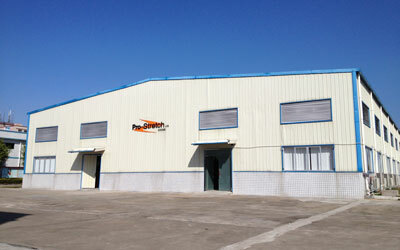 We now route a portion of orders for the Chinese domestic market through this division. 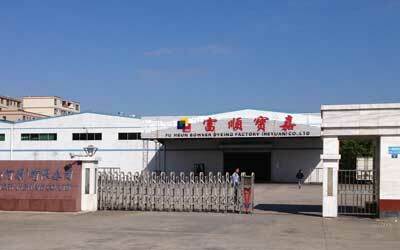 Second, we began offering innovative tapes and labels produced at our Heyuan facility. Using a patented process to make rigid material stretch, Pro-Strech trims do not pucker when applied to garments, even after washing. Based on the state of the industry, we decided that Vietnam would be the best choice for our next location and offer the most benefits for our customers. 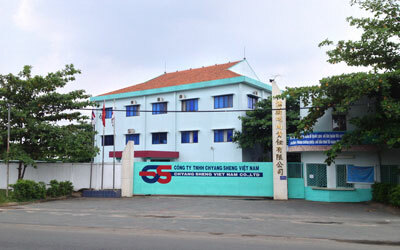 After evaluating and working with a few mills in Vietnam, we acquired a major stake in a Thuan An mill in 2009. Using our expertise in knitwear, we modernized the mill with the latest warp and circular knit equipment, converting its production to knits instead of wovens. Then, following the successful business model set by our Heyuan mill, we partnered with a garment manufacturer, Dintsun, now part of the Pou Chen Group, to create an integrated garment solution. © 2019 Fu Hsun Fiber Industries Co., Ltd.